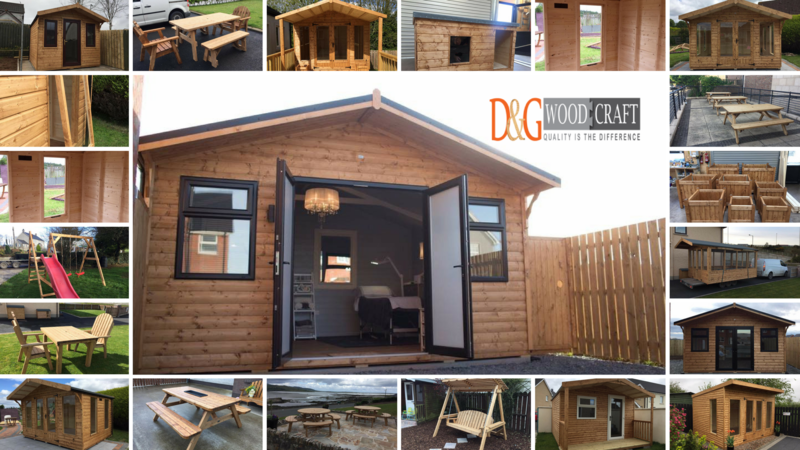 D and G Woodcraft Decking Services – We are an established decking designers and installers operating throughout Northern Ireland and the border counties offering a comprehensive range of hardwoods and softwoods. We provide services to both private and commercial customers. We have done decking and made garden sheds and garden furniture for customers from Dungannon, Belfast, Lisburn, Newry, Armagh, Monaghan, Cavan, Fermanagh, Derry, Donegal, Sligo, Omagh and all over Tyrone, Banbridge, Dundalk, Derry, Dublin etc, People contact us from all over Ireland Noth and South because we are specialists in manufacturing high-quality sheds.